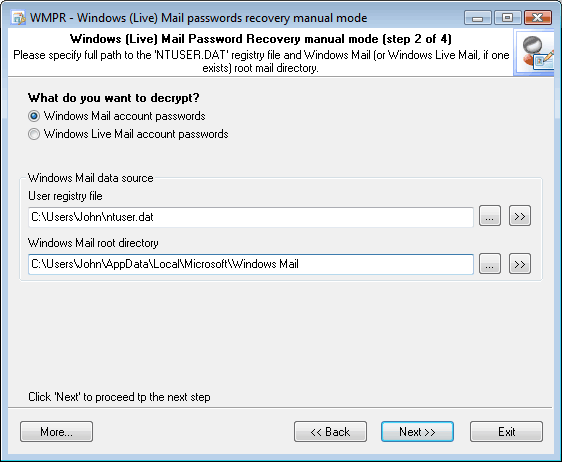 You can export the list to HTML file for example or copy the decrypted information to clipboard. 1) User registry file, defaulted to C:\Users\%USER%\NtUser.dat, where the program hides its secret (picture 2). 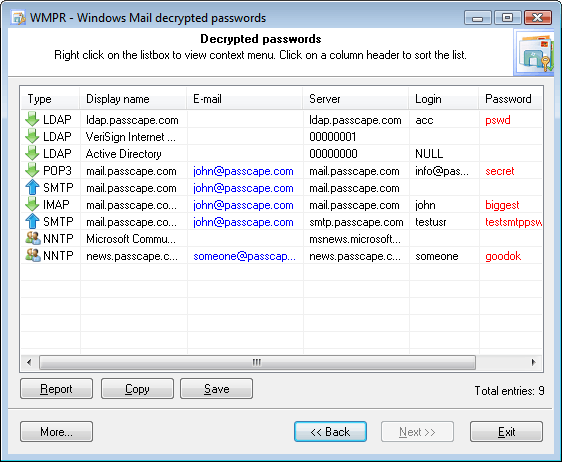 2) User Master Key file, along with the user logon password and textual SID value (picture 3). The owner SID textual parameter is normally the same as the %SID% folder name. Once you have typed a correct password in the logon password field, the 'Next >>' button will be activated, so you can proceed to the final step of the Wizard. Sometimes it is enough just to uncover asterisks to remember your forgotten password. 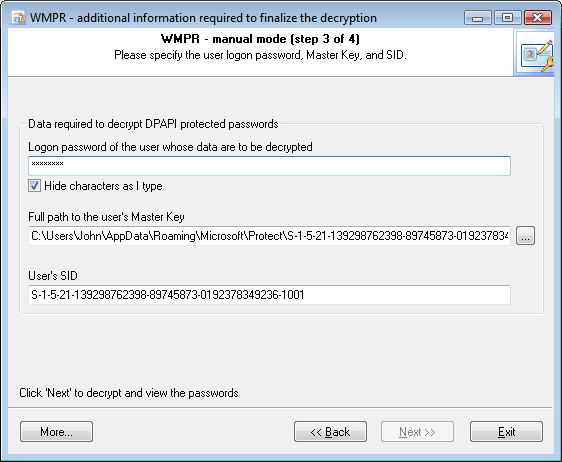 WMPR can successfully unhide such passwords. 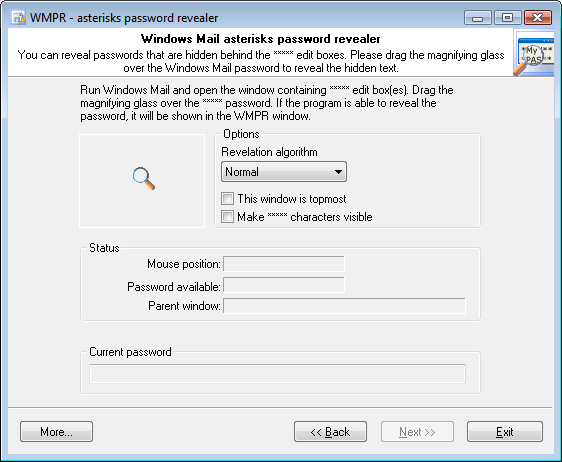 Just open 'Asterisks password revealer' dialog and drag the magnifying glass to the **** password box. 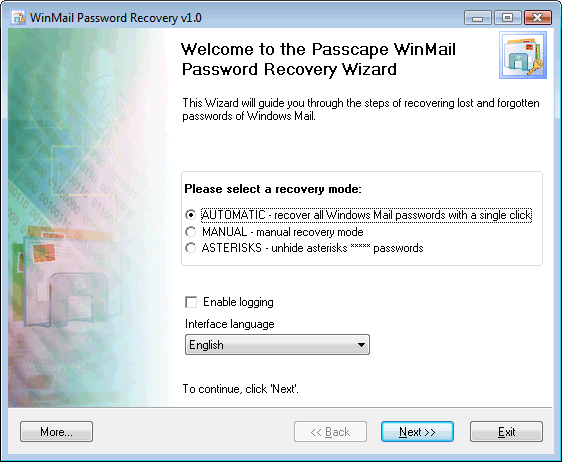 You can also reveal asterisk passwords for other mail programs, not only for Windows Mail / Windows Live Mail.